Globe4D contributes meaningfully to correct both small and large misunderstandings and helps the general audience and the scientific community to display complex processes and data in an easily interpretable manner. 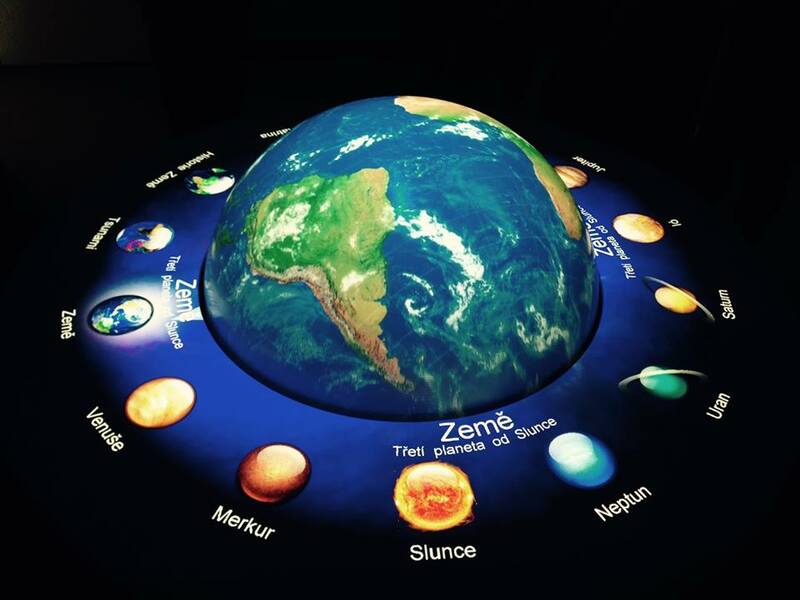 Globe4D is an interactive system with which the user can learn in an insightful manner about the earth and other planets. The Earth is projected on a sphere. By rotating the sphere the Earth can be observed from any angle. A ring, fitted around the sphere, allows the user to manipulate the fourth dimension by turning it. Multiple users can comfortably stand around the system and use it simultaneously while they discuss global processes. Globe4D currently aims at a broad target group of museums, science centres, universities, libraries and schools. Globe4D has received several awards including awards for education and emergent technologies. Globe4D has been exhibited in, among others, the United States, France, Italy, Portugal, Norway, Suriname, Korea and India.